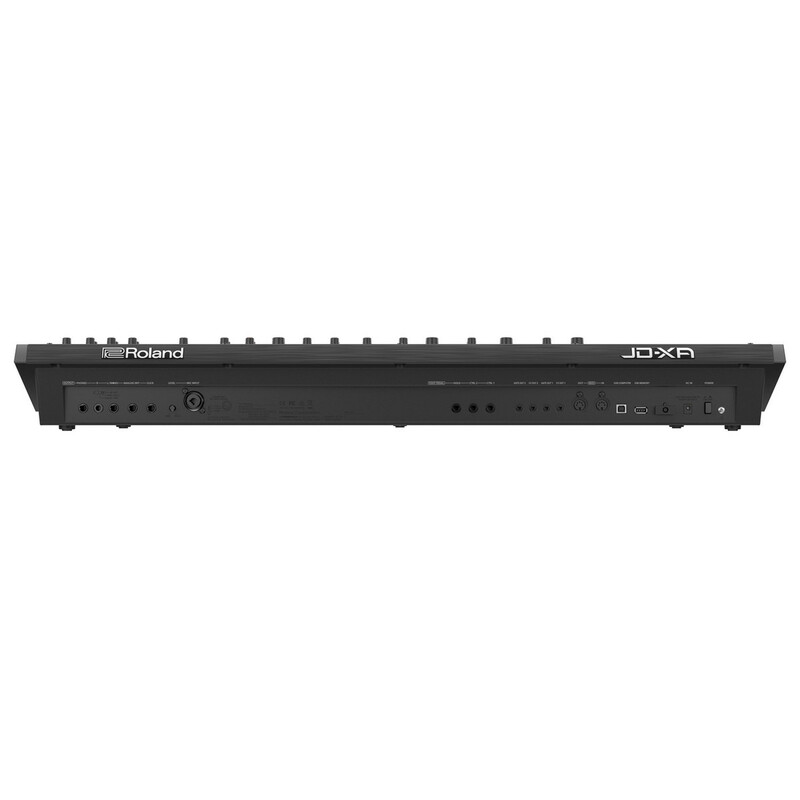 The Roland JD-XA Synth is a unique digital and analog polysynth which combines the best of both to create a 4 voice hybrid synth with incredible power and versatility. 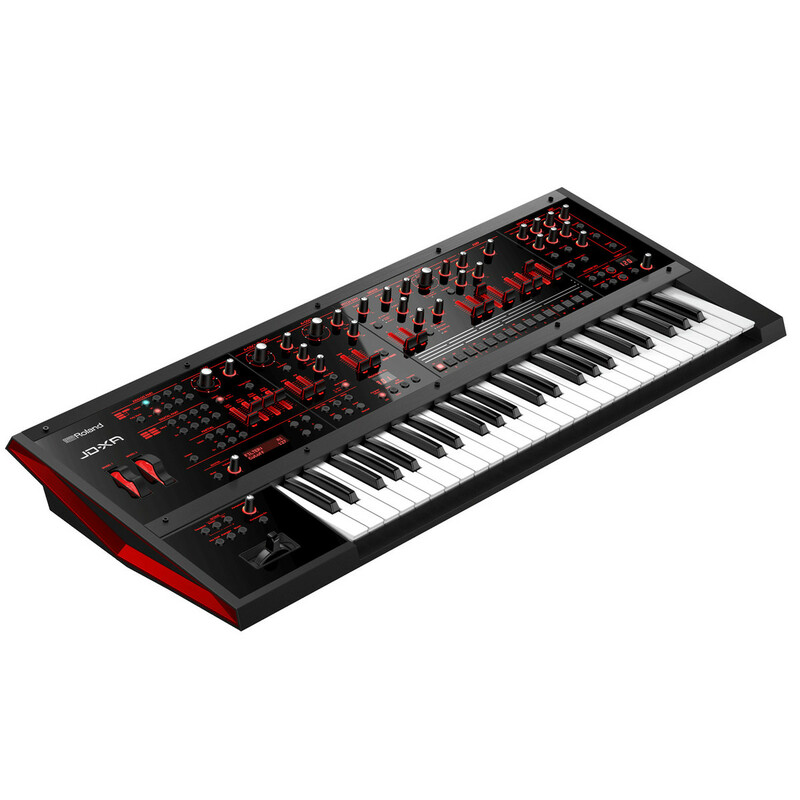 Featuring 49 velocity sensitive keys the JD-XA provides the perfect platform to create and develop melodies whilst the on board effects, oscillators, filters and sequencer deliver advanced analog and digital synth control like never before. Each of the JD-XA's four analog parts has two oscillators, along with filter and amp sections and four envelopes all with incredibly fast attack and response times. You also get two LFOs, with super-smooth coverage from ultra-slow to ultra-fast. Start by creating your sound from scratch, or configure the JD-XA as an eight-oscillator, pure analog version of the legendary Supersaw waveform. Additionally you can invoke the power of Poly Stack mode for warm, organic four-note chords that will sweep you away. Once you've got that killer analog sound, you can route it directly to the analog dry output or send it to the on board digital effects for further experiments in the art of sound design. 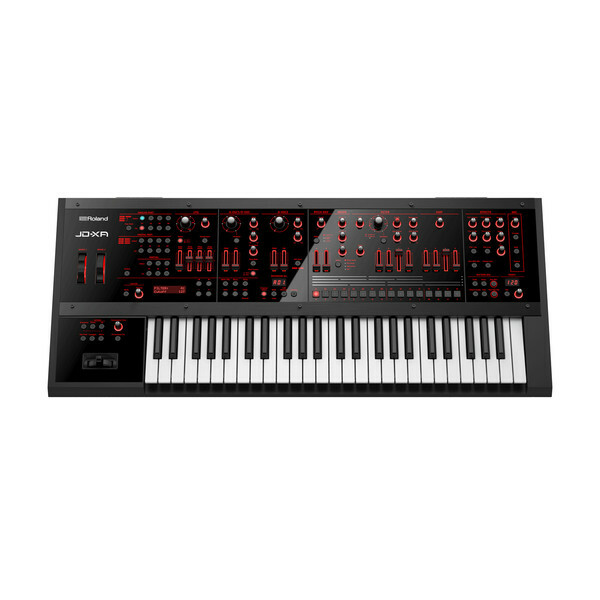 The JD-XA doesn't just do classic analog it's also equipped with a completely separate four-part, 64-voice digital sound engine powered by Roland's acclaimed SuperNATURAL synthesizer technology. 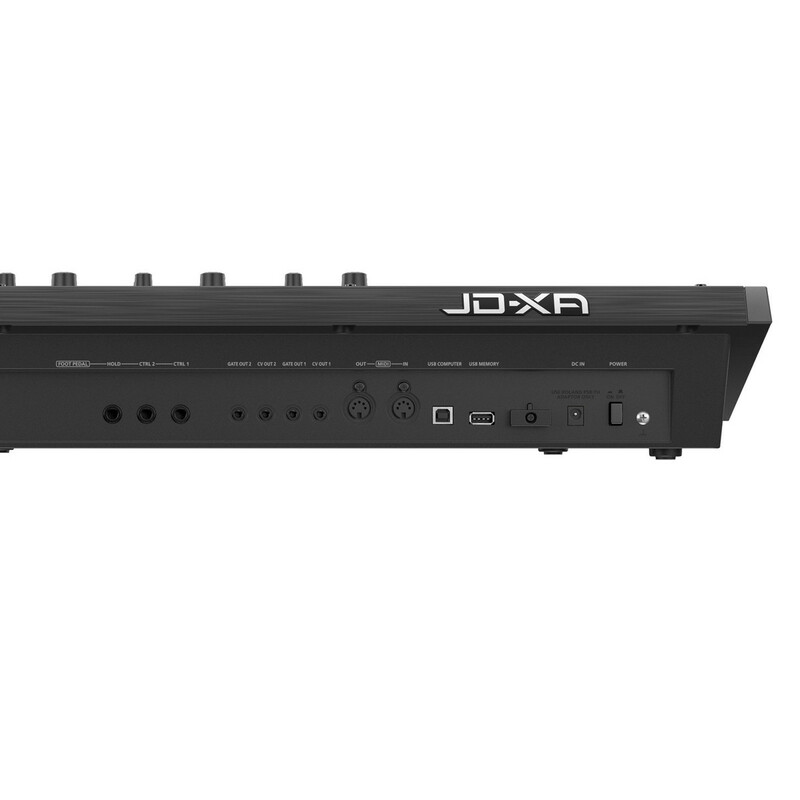 This lets you play some of the most expressive and natural sounds available anywhere, as the JD-XA is compatible with the synth engine from the INTEGRA-7 sound module, a firm favourite of top producers, composers, and sound designers. And if you need some extra inspiration, visit Roland's online Axial community and download the latest creations from high-end programmers to tap into great sounds for a wide variety of genres. 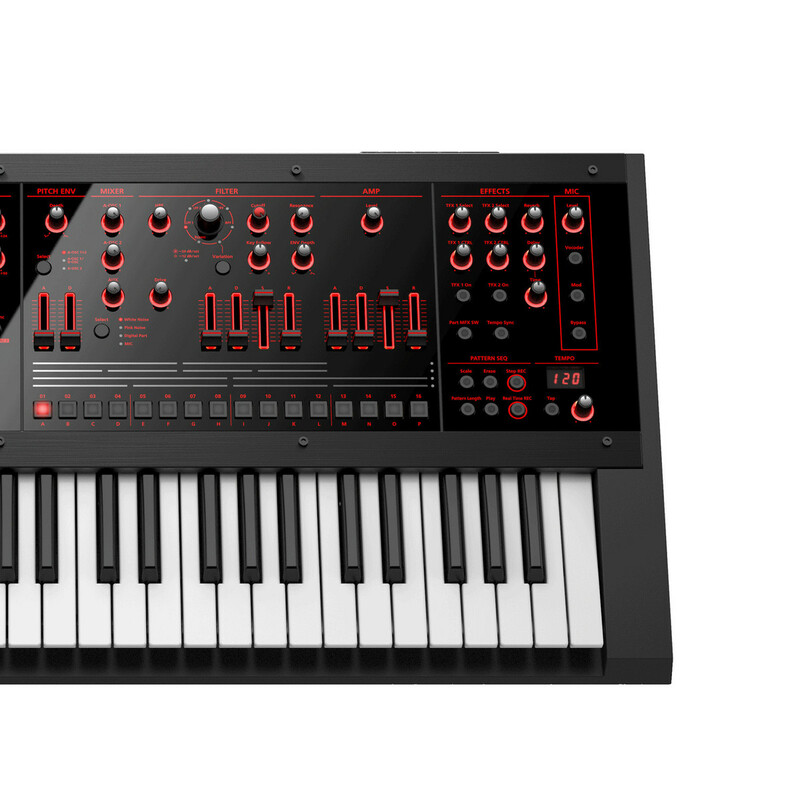 With its distinctive crossover design, the JD-XA is very unique in its approach to synthesis. Not only can blend the engines together, but you can also use them completely independently, truly giving you two synths in one. Additionally, the analog and digital engines are able to interact in many creative ways. For example, digital sounds can be routed through the analog filters, or used as modulation sources for the Cross Mod and Ring Mod functions in the analog section. 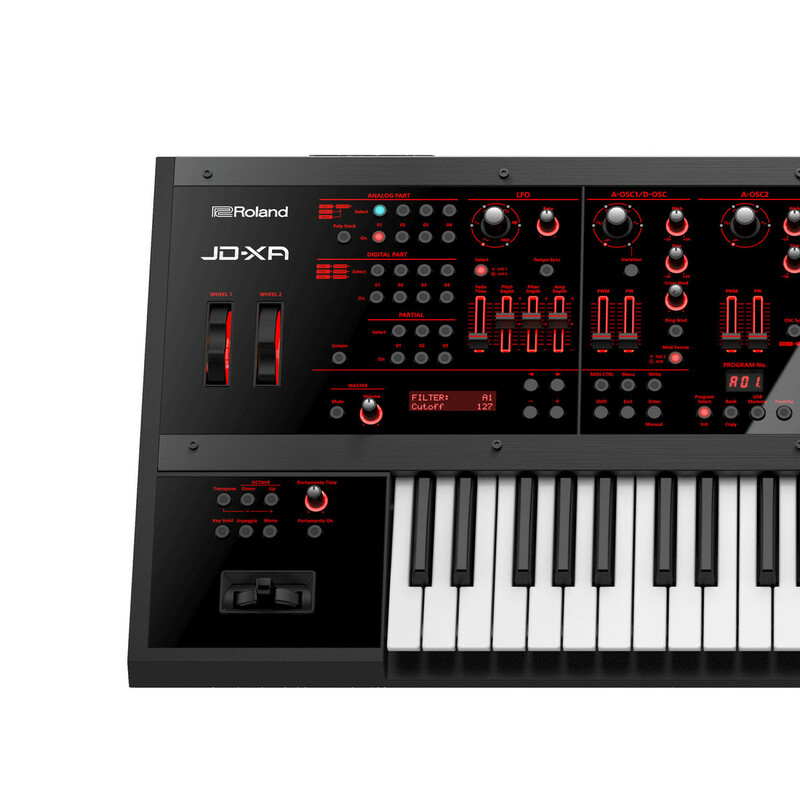 If you've got big ideas when it comes to sound design, you need a powerful and flexible synth, and the JD-XA really delivers. When it comes to effects, the JD-XA is well equipped to handle any sound shaping you want to apply. Each analog and digital section is equipped with a powerful and versatile MFX processor that offers 67 different effect types, including high-impact processing options like Bit Crusher. The essentials are also covered via the five system effects processors, which provide reverb, delay, and master EQ plus two TFX processors with 29 effect types each. To get your creativity flowing, the JD-XA has a comprehensive 16-track pattern sequencer with 8 tracks for internal parts and 8 tracks for external sources, allowing you to build sequences and loops quickly and intuitively. Use real-time recording mode to lay down parts in a familiar linear fashion, or step recording mode to create in the old-school pattern style. However you like to work, this sequencer is designed to keep you connected to your music. Providing unprecedented routing options thanks to a flexible system the JD-XA lets you route a single mod source to four destinations. In addition, you're able to control external modules or DAW plug-ins via MIDI, USB, and CV/GATE, making this a synth that can sit at the heart of any live or studio setup. If you can imagine it, you can probably do it on the JD-XA. The JD-XA's mic input brings an extra dimension to your music. For starters, you can use the mic as a modulation source, controlling filter cut-off, Cross Mod, or other parameters with your voice. Alternatively, you can dial up Vocoder tones, or simply add some pro-grade vocal reverb via the mic's dedicated reverb processor. 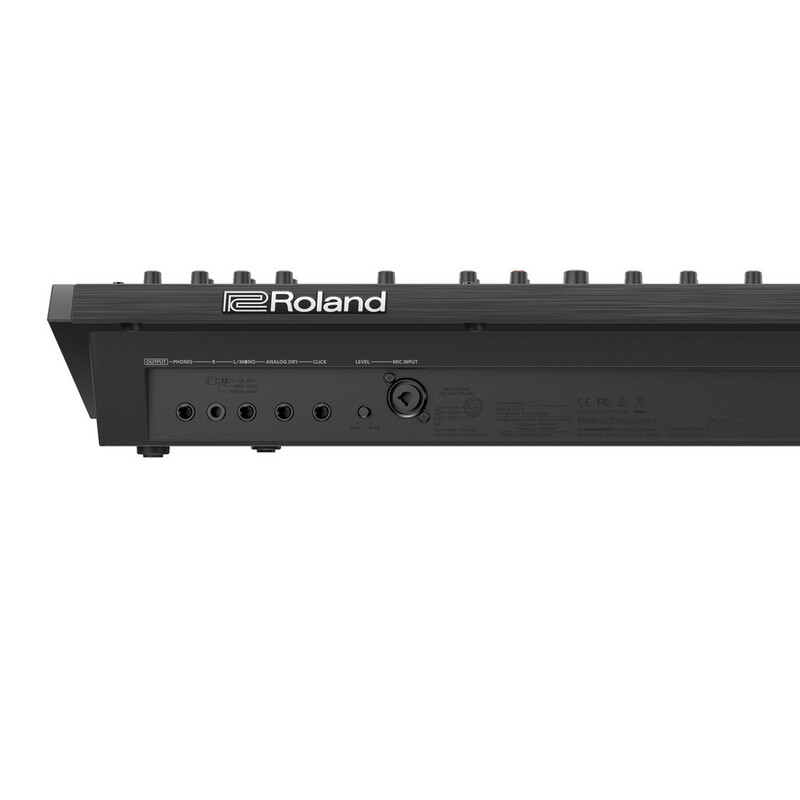 Roland's Jupiter-8 and Juno-60 synths are renowned for their warmth and musicality. Both synths offered a logical user interface with which to program rich, powerful sounds which meant brought them extreme popularity with musicians.The first release in the JD-XA Crossover Impression series celebrates these remarkable and enduring synthesizers with a collection of sounds inspired by the originals, brought to life using the power of the JD-XA's analog/digital crossover engine. Free Expansion Sounds: To receive your free Jupiter-8/Juno-60 Crossover Impressions expansion library simply download from the Roland Axial website.